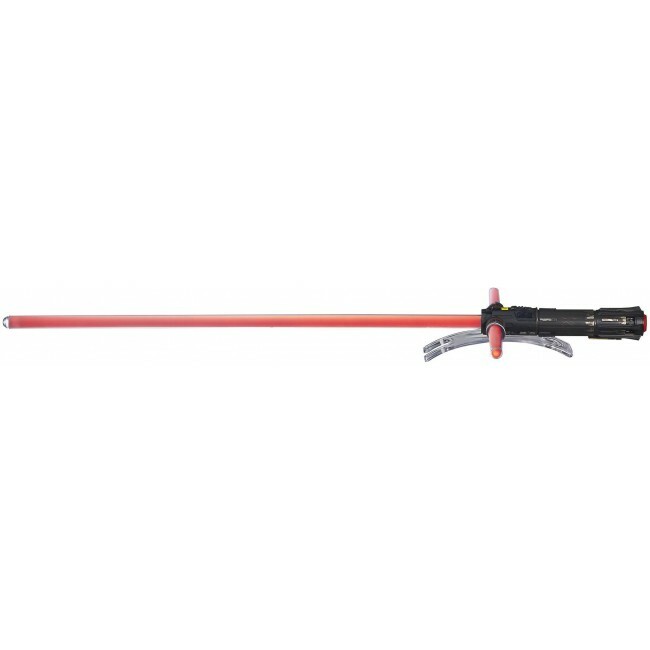 Wield the dark power of Kylo Ren with this impeccably detailed crossguard Lightsaber replica. 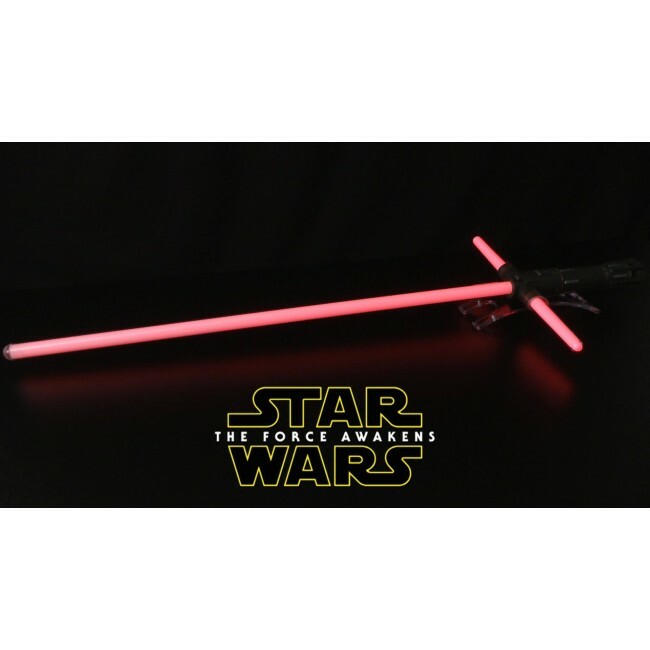 The adult collectible “weapon” powers up with realistic light effects and features motion sensor-controlled sound effects from Star Wars:The Force Awakens. 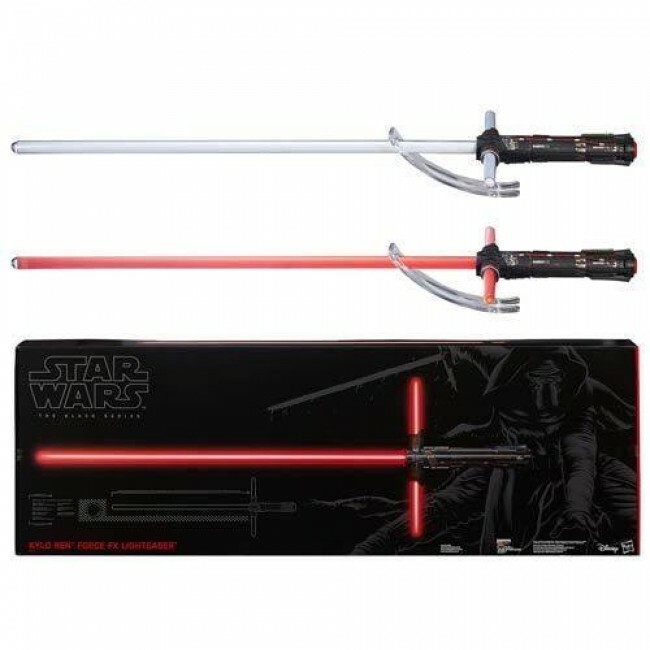 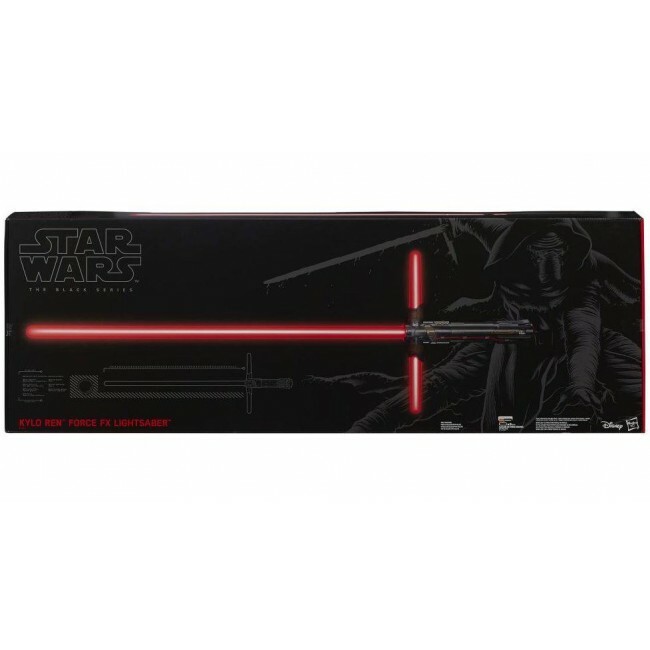 The Star Wars: The Black Series Kylo Ren Force FX Lightsaber features a durable metal hilt for the greatest possible film accuracy, and includes specially designed display base. 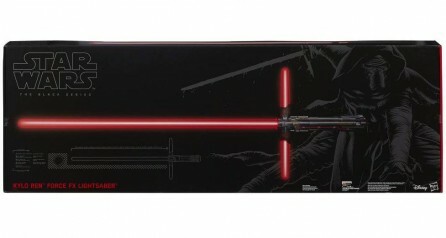 Requires three AA batteries, not included. 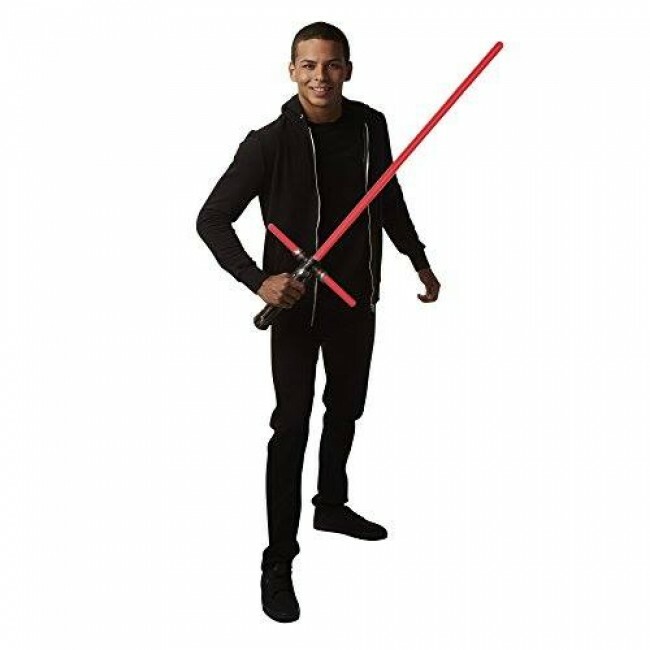 **Please note: blade is not removable.